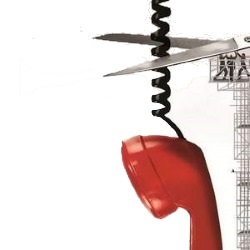 Is it time to hang up the telephone? Do we really need telephones anymore? Has Unified Communications removed the need for the traditional handset? Is it time to hang up the phone? In 1995, I was running a small, fledgling dial-up ISP in Australia, and we lived for the telephone to ring. There were no email campaigns, no online signup forms, no social media advertising - sales opportunities originated from advertisements placed in community newspapers, in the back of APC Magazine, and the odd flyer drop in the local community. Customers would call for two reasons – to either buy a service (“Do you sell the Internet?”) or complain that they couldn’t log on (“My modem is making a funny noise!”), usually due to massively oversubscribed dial-up modem pools, an unofficial industry standard at the time. These were the days when connecting to the Internet didn’t mean plugging a router from Officeworks into a telephone socket and opening a web browser. It meant installing Trumpet Winsock off a CD or more commonly a floppy disk, and waiting often for hours for the dreaded busy tone to be replaced by the squeal of modem negotiating. We’d hold our breath in hope that a connection would be successful, a state never guaranteed. Even though we were providing internet services, telephones were our real connection to the world, one that was reliable and comparatively low cost. Without our trusty Telstra (Alcatel) Touchfone 200 handset, and a Nokia 101 analogue mobile phone, business would stop. Call waiting became a small-business’ cheap solution to a PBX, and everyone carried their mobile charger or spare batteries with them everywhere, to avoid missing that critical call. We all dreamed of a day when a mobile phone would provide more than an hour of talk time. We all ran to the closest window whenever a sales call came in to our mobile phone, to ensure the best quality signal. For those with an extendable antenna, we developed awkward ballet-like moves to extend the antenna whilst running to the window and simultaneously collecting a pen and paper to make a note of the potential windfall. The phone was almost permanently wedged to our shoulder, and our ear was almost permanently warm from the radiation. VOIP was being talked about by everyone, and feared by the telcos. Very few know the true revenues and rebates generated by telcos from traditional PSTN landlines, so many wondered why they were hesitant to offer it. Aside from the poor quality and unreliability at the time, it offered a far cheaper and more flexible solution. But it was also expensive to set up and maintain, and voice quality was questionable at best. Eventually, as traditional telephony providers realized customers were leaving in droves to VOIP providers, they began offering VOIP services. It’s better to have a lower-margin customer than no customer at all. And as it happened, until VOIP takes over, most customers still called traditional PSTN numbers, and the rebates flowed, albeit a little slower. And yet, VOIP changed nothing for the customer. A physical phone was still required on their desk, it simply connected to their internet service instead of a phone line. PBX’s still required a specialist maintainer to configure (and some still do), and without a dedicated or high-speed internet connection, the VOIP service quality was never quite as a clear as the copper lines they replaced. Fast forward another 10 years. Ever so slowly, modern PBX’s began being provisioned with VOIP over PSTN – in the end, customers didn’t really notice the difference, and it was easier for the telcos than leasing copper from the national incumbent. But even with the simplicity and flexibility of VOIP, as Dylan so succinctly put it - the times are a changing. I’m a serial entrepreneur. Whilst I currently have a “day job”, I’m actively involved in a handful of diverse small businesses. Each one needed one or more telephones, each one is located in different buildings (and in one instance a different country), and up until recently, I had a Cisco multiline VOIP telephone on my home-office desk to handle all the different numbers out there that people can find me on. One of my businesses is a Microsoft Lync (now Skype for Business) development house, and so moving from a physical handset to a soft-phone became a possibility (Cisco have an equivalent, but hey should use what I preach…). The Cisco handset now sits, powered off and unplugged, in a cupboard full or spare parts and conference swag for a year, and I’ve not looked back. Even though I’m “in the industry”, it took a while to realise that the same softphone client (Skype for Business in this instance) works just as well on a mobile platform as it does on the desktop. Speaking to peers in the industry and even telecommunications executives, it’s clear the convergence of desktop and mobile solutions isn’t yet obvious, but is certainly quietly happening. And yet a much greater, much more fundamentally industry-changing evolution is occurring. And it should terrify the telecommunication carriers. My mobile number has remained the same since I upgraded from that original Nokia 101 to a newfangled GSM mobile phone (a Nokia 8110 ‘slider’) in 1998. I’m a bit of a Nokia fan-boy if you haven’t already guessed. This number is all over the internet, on the thousands of business cards I’ve given out over the year and on all my various social network accounts, which are wide open to the public. My half-dozen or so 1300 numbers divert to either Skype or my mobile (or both), so that I don’t miss any calls. No one calls my telephone number anymore. Apart from telemarketers and impatient salespeople, my phone has effectively gone silent. It all started about a year ago. Instead, when people want to talk to me, they simply put my email address into their favourite VOIP (or sort-of-VOIP) app, such as Skype, Lync, Viber, Whatsapp, Google Hangouts, etc., and they’ll find me. No more actual carrier charges. No telephones required. No per-minute billing. No international rates. I didn’t ask people to do this. I didn’t tell anyone I was on a number of social networks or pseudo-voice providers. People just tried it. And it works. And it works very, very well. When you’re on a Skype call and want to include an additional person, you just drag their photo into the conversation. Want to see them as well as hear? Just click the video button. No extra costs, no pressing * or # and a dozen carrier-specific codes that are sticky-taped to your cubical wall because no one remembers them. It just works. Try it. Pick a customer, a vendor or a friend that you call regularly. Now put their email address into your favourite unified communications client, such as Skype, Lync or Facebook Messenger, and the likelihood is you’ll never spend a cent on calling them on your telephone again. This evolution is, on the surface, driven by the likes of Microsoft, Google and Facebook. But evolution is truly driven by behavior, and humanity’s instinct to explore and try new things. These three companies have more connected customers than any telco globally, and yet the telco’s haven’t noticed. For my next business, I won’t be getting a telephone number, let alone any handsets. But people will still be able to call me, using just my email address. Don’t get me wrong – this isn’t a possibility for everyone – I live and work in a high-tech field where everything we use is cutting-edge or in beta. A typical small business will of course still need their telephones, to take calls from the adverts they’ve placed in community papers, the yellow pages, on their website and leaflet drops. This opinion piece was also published by CRN Australia, September 8th 2015. The views, opinions and any thoughts within this article of myself personally and quite possibly wrong or misguided. They do not represent those of my employer or any organisation to which I consult or volunteer. They may have been written by a meerkat masquerading as myself.